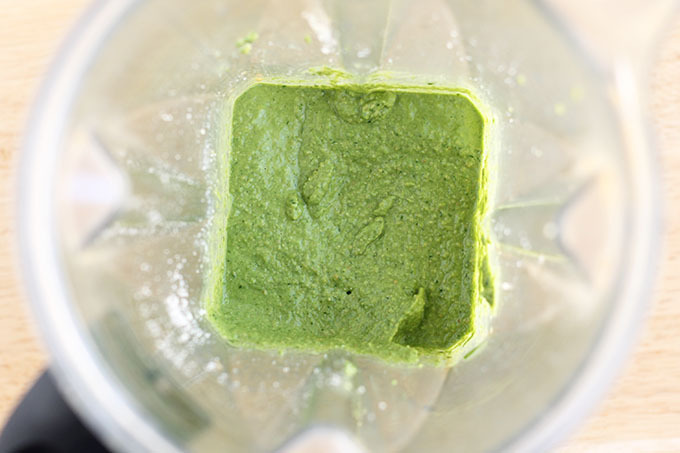 Pack your next pasta night with nutrition with this super simple Spinach Pesto recipe. 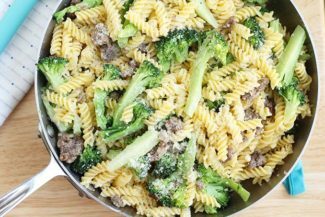 It’s made without nuts, so it’s budget-friendly and allergy safe! 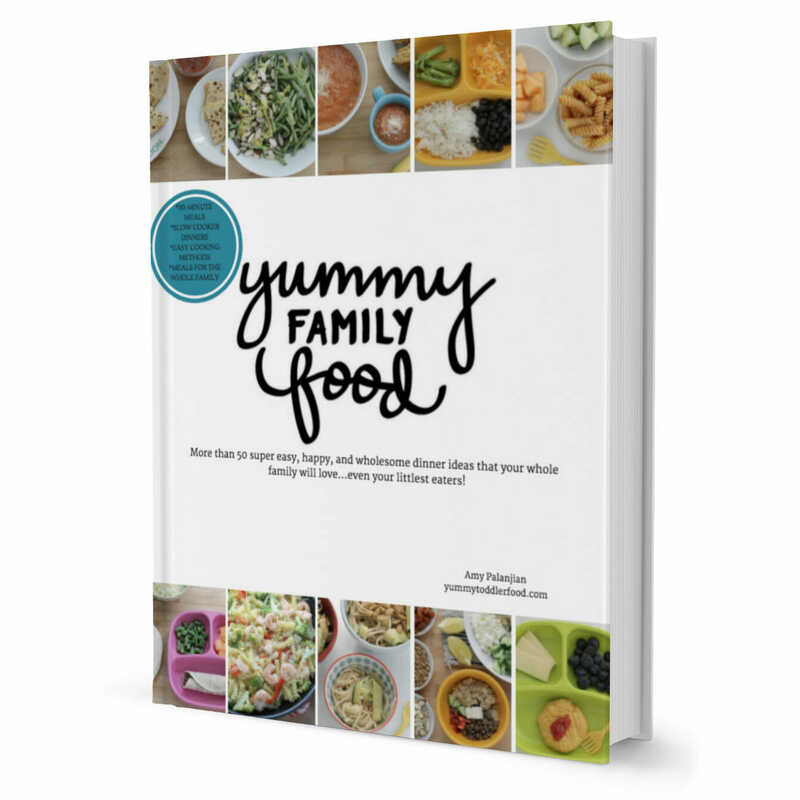 My family adores pasta (like so many families I know!) 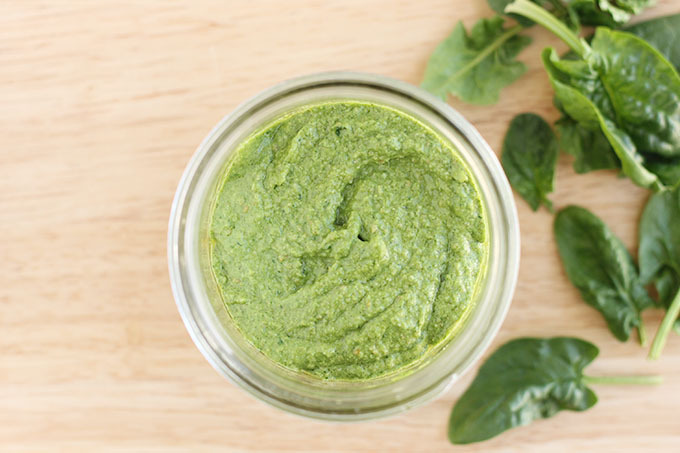 and this Spinach Pesto is one of our go-to sauces. 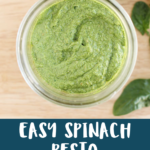 I like it because the color stays bright green, the ingredients are straightforward, and it packs a serious punch of vitamins and iron from the spinach. This is, hands down, my favorite way to serve up greens to my kids—that us adults enjoy too! This recipes makes enough pesto for about 1 pound of cooked pasta, so toss it with your favorite pasta—whether that’s regular, whole grain, or gluten free. 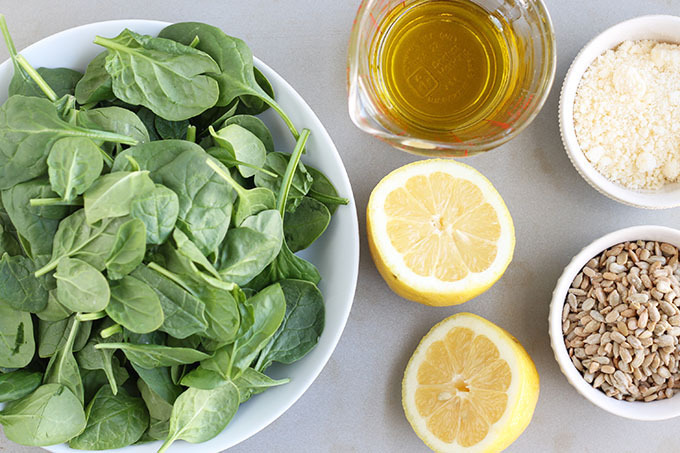 To make this easy pesto you’ll need baby spinach, fresh lemon, olive oil, grated Parmesan cheese, and roasted sunflower seeds. You may also want to add a little salt, depending on the saltiness of the cheese. And one other cheese note: I much prefer the flavor of grated Parmesan versus shredded parmesan, so keep that in mind when buying it at the store. 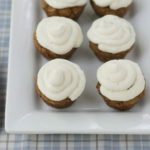 Here’s a look at the super simple process involved in making this recipe. 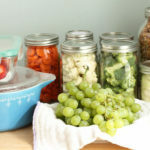 Toss with pasta, store in the fridge in an airtight container for up to 5 days, or place into zip top freezer bags (I like pint size) and seal as you remove as much air as possible. 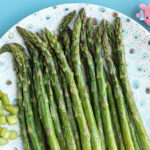 Press flat and freeze for up to 3 months. Thaw at room temp and toss with pasta. 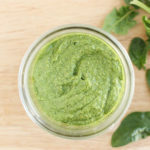 I don’t typically use pine nuts in my pesto because while they do have great flavor, they are often hard to find for those of us who live in smaller towns and they can be expensive. Roasted sunflower seeds have a nice flavor, are accessible to everyone, and don’t have the same nut allergy concerns that pine nuts do. Win, win! What else can I use this healthy pesto on? You can use it on pasta, as a sauce on pizza (so yummy! 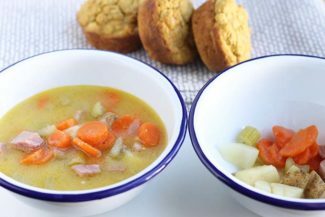 ), with grains like quinoa, to top eggs, or to stir into a vegetable soup or Minestrone to add extra flavor. Try this healthy pesto with your favorite pasta or in place of pizza sauce on pizza! 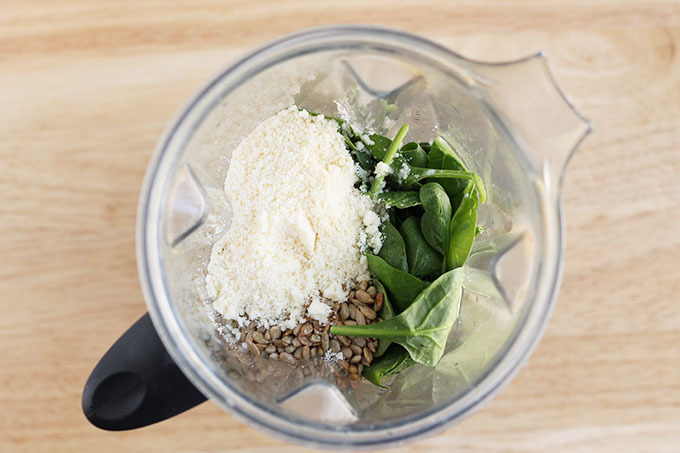 Add the spinach, olive oil, lemon juice, Parmesan, and seeds to a blender. Blend very well until very smooth, stopping to scrape down the sides of the bowl or using the stick that came with the blender as needed. You can also do this in a food processor. Season to taste with salt if needed. Toss with the pasta or use as desired. 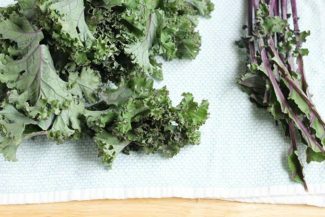 Variations: You can also try this with baby kale!